Every company needs some way to handle the many meetings that help business operate smoothly. But not every meeting has to be structured perfectly. Sometimes, all that is needed is an informal meeting agenda to structure these meetings. 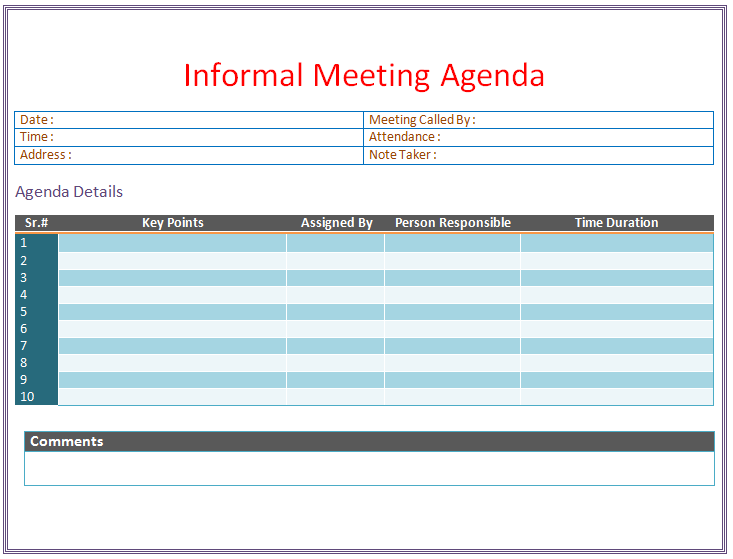 An informal meeting agenda is an agenda that allows a meeting to proceed naturally with sections and time limits, but does not bog the meeting down in formalities and strict scripts. 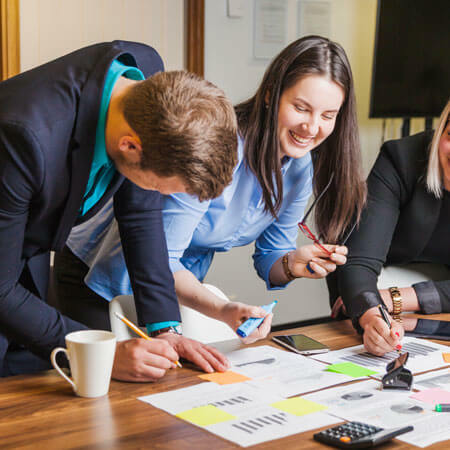 Usually, an informal meeting agenda is preferred among managers and employees in that it allows everyone to work through the meeting as quickly as possible while also providing a road map for the topics that will be discussed. 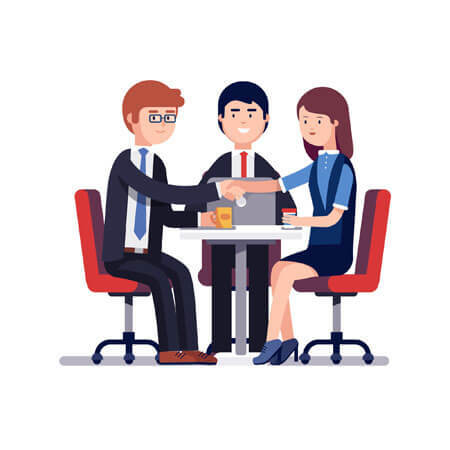 Informal meeting agenda is appropriate for any meeting of a reasonably-sized group of people who are discussing relatively mundane or low-stress topics. It is helpful for meetings where there are only a handful of topics or meetings that do not occur around incredibly serious topics. Serious topics often require a formal structure so they can be handled in the most time-efficient way possible. But for every other situation, an informal meeting agenda will be preferred over the alternative by all participants. 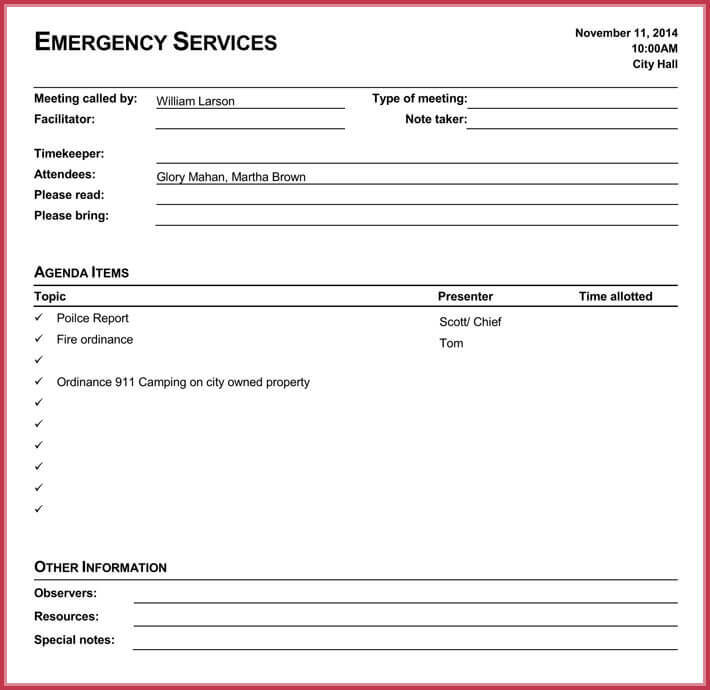 Every informal meeting agenda will have several sections. One will be an introduction to make sure the topic of the meeting is known and all participants are present. 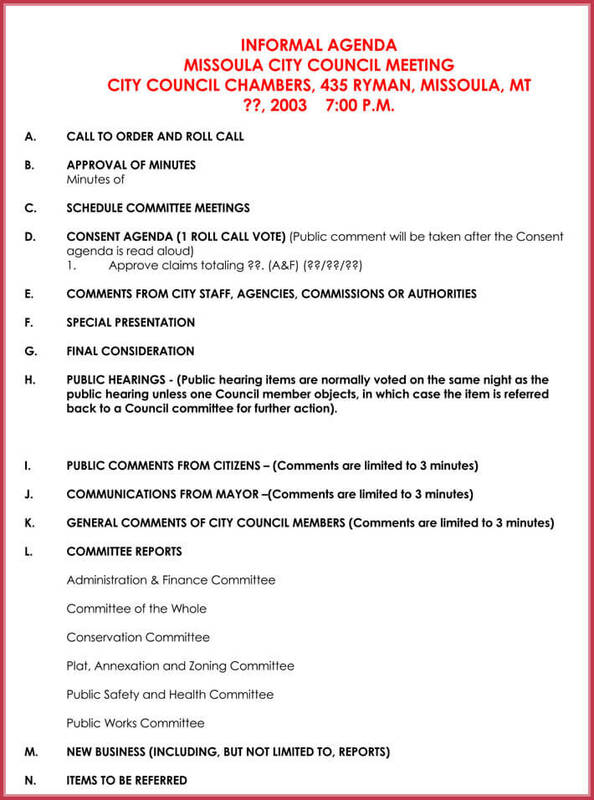 Another is reviewing minutes from the previous meeting, which will help members become familiar with the context of their current meeting. Yet another is housekeeping, where topics relevant to the company and the group are discussed. 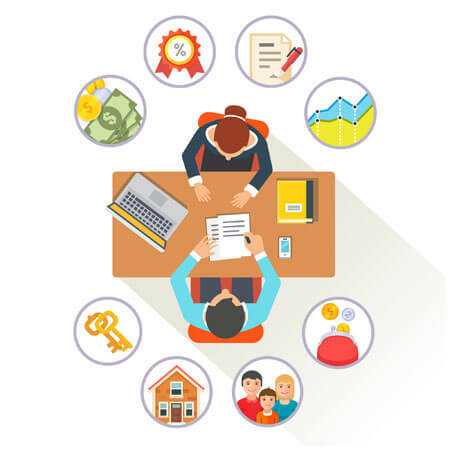 Finally, there is a discussion of new business, an open session, and a wrap-up, where topics are aired and discussed before finally being summarized. 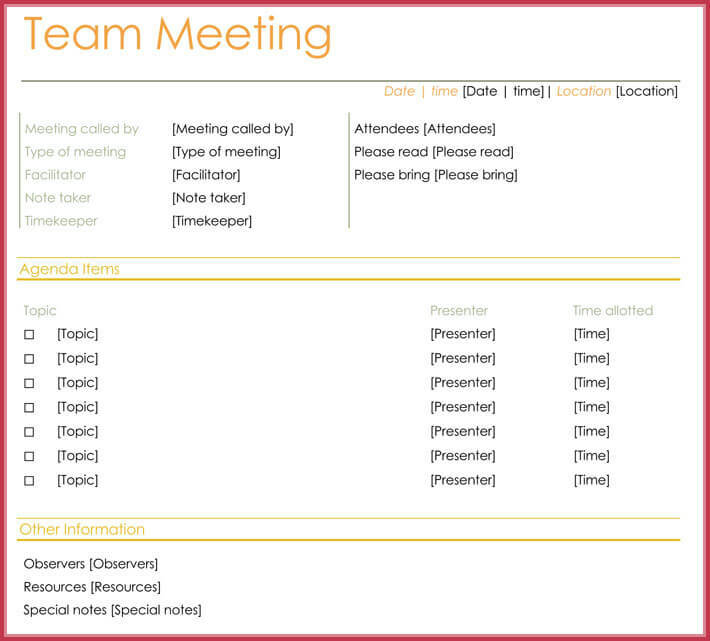 Templates can be helpful for organizing your ideas and aiding in the eventual crafting of your informal meeting agenda. 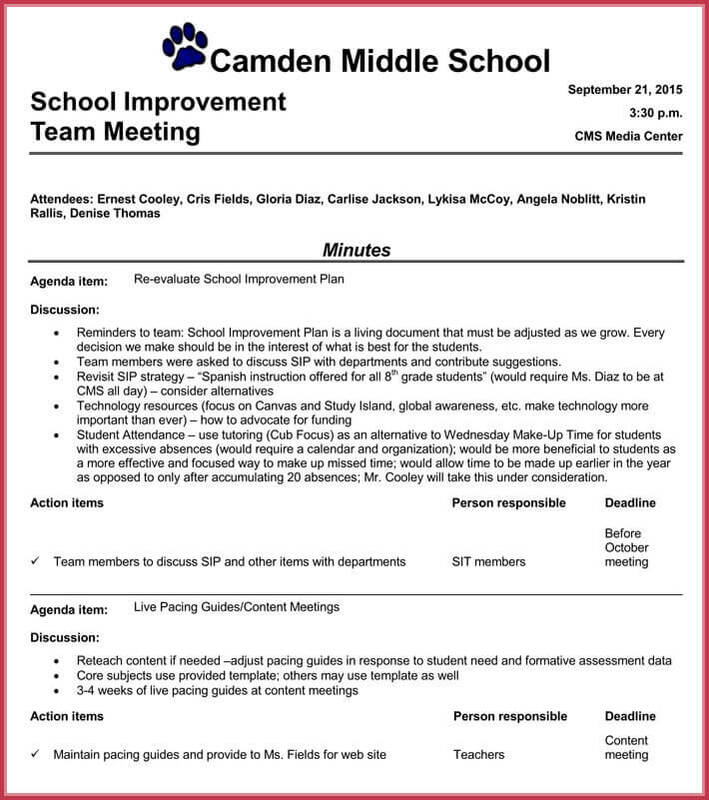 These informal and formal meeting agenda templates can be found on this website. 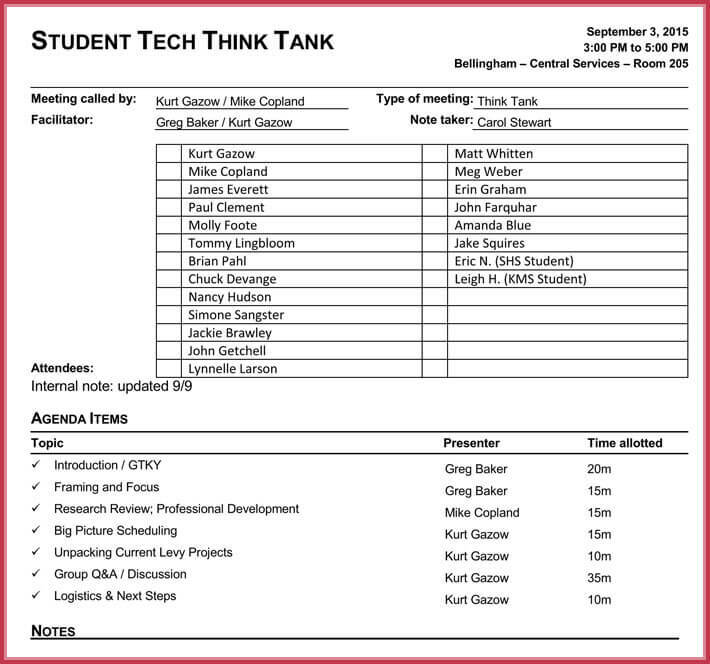 Every meeting agenda should definitely include general time limits. These limits can help a meeting flow and can prevent one topic from taking up all of the participants’ limited time. There also needs to be sections for questions and feedback. Feedback helps management better understand what the meeting did right and what it did wrong. No informal meeting agenda should have a ritualistic component or more than a few pages of detail. Those are more appropriate for formal meeting agendas. 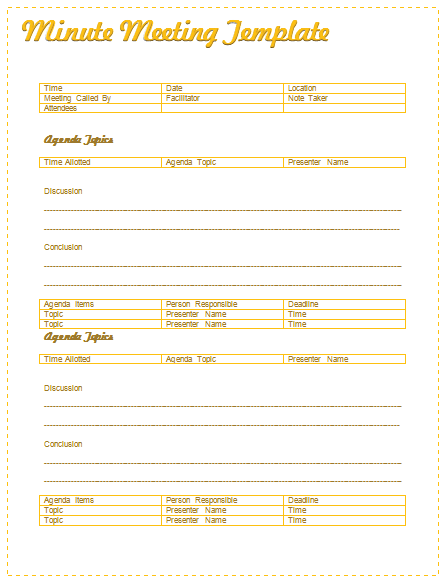 This meeting agenda writing guide will help you better understand what exactly you need to include and what to leave out. Even with telecommuting, meetings will continue to be a part of the business world. 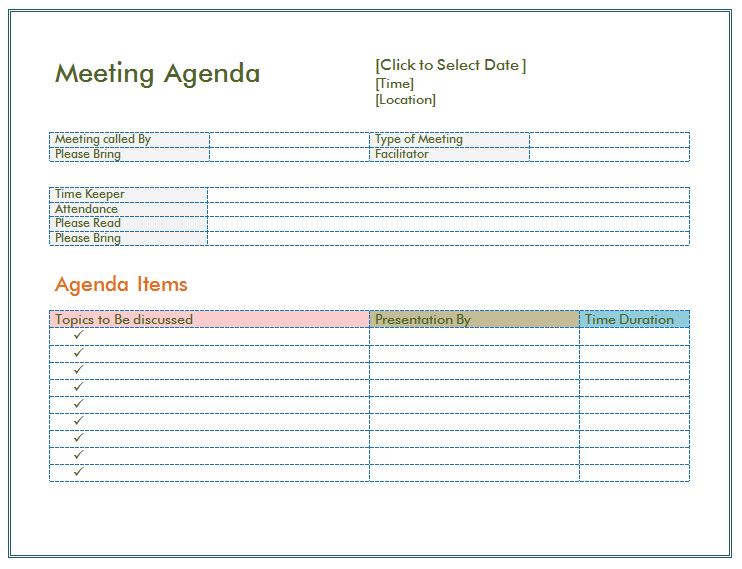 Meeting agenda templates will help ease the pain of meetings as they continue to help business thrive. 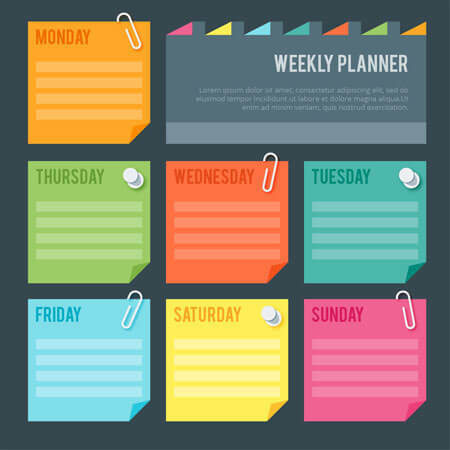 Make sure to utilize these agendas and templates in order to find success at your next meeting.